We've had a love affair with Everyday Artifacts Lithograph Necklaces for quite a few years now. There's just something so darn neat about wearing a piece of artwork on an small circle pendant around your neck. 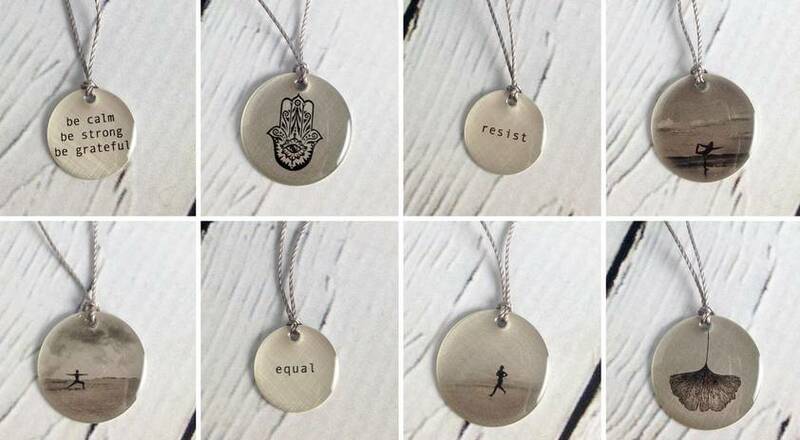 We've just gotten in new pieces with imagery like yoga and running as well as inspirational words. Pop in to try one on, or grab one here!